Cuisinart Juicing Blender Just $67.56! Down From $185! PLUS FREE Shipping! 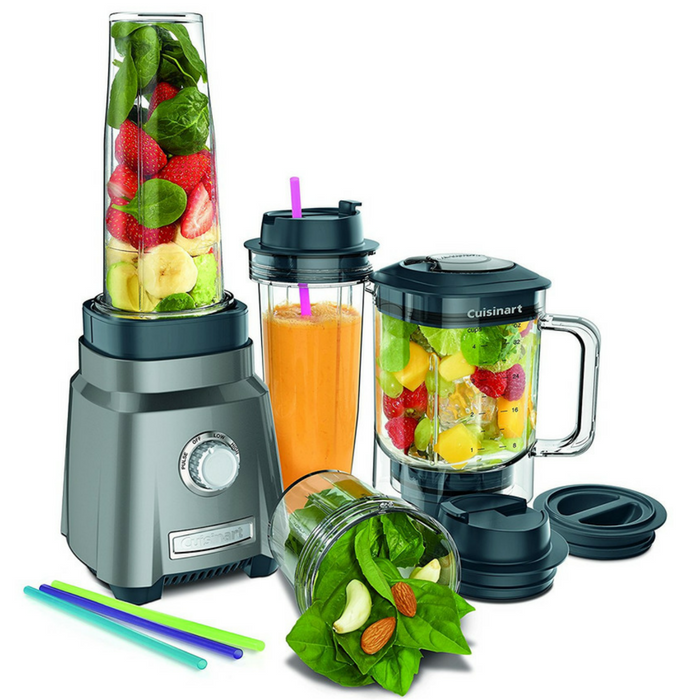 You are here: Home / Great Deals / Amazon Deals / Cuisinart Juicing Blender Just $67.56! Down From $185! PLUS FREE Shipping! Amazon has this Cuisinart Juicing Blender on sale for just $67.56 down from $185 PLUS FREE shipping! Meet the Cuisinart Hurricane compact juicing blender. Break down whole fruits and vegetables in the streamlined jar for delicious nutrient-filled juices and/or smoothies. Mince herbs and spices in the chopping cup and whip up custom drinks right in the travel. Cups before running out the door – we’ve included two, along with no spill lids and 4 reusable straws! designed to fit anywhere, the Hurricane compact delivers big-blender performance. Jar and Cups are shatter resistant and dishwasher safe.